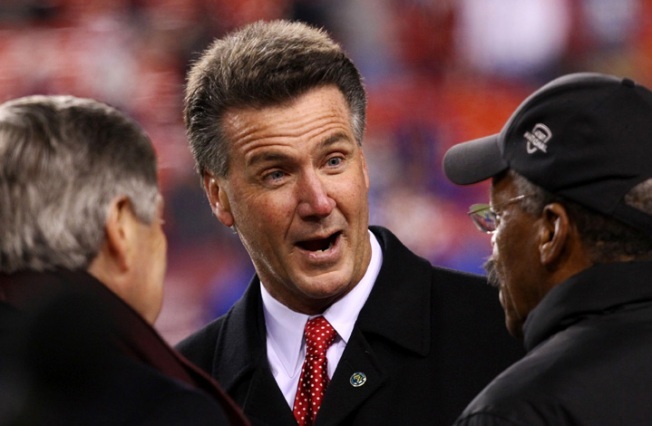 Washington Redskins President Bruce Allen made clear Monday the team would not reconsider whether to change the team's nickname if it became a political barrier to building a new stadium in the nation's capital or elsewhere. The club currently plays at FedEx Field -- which opened in Landover, Maryland, in 1997 -- and has started exploring sites for a new facility, even though its lease there runs until 2026. At a news conference before Washington's last practice of training camp Monday, Allen said the Redskins have spoken with representatives of Washington, Virginia and Maryland about a spot for a stadium. Interior Secretary Sally Jewell told Washington Mayor Muriel Bowser in April that the National Park Service -- which owns the land where the team's former home, RFK Stadium, sits in the city -- wouldn't grant a new lease because of objections to the team's name. Redskins owner Dan Snyder has said he will never change the nickname. RFK Stadium sits on land owned by the National Park Service that is leased to the city. The lease expires in 22 years. The city would need an extension to build a new stadium there. Altering the lease would require an act of Congress, and the city could seek Congressional support for a change in the lease without the Park Service's blessing.